Inspired by Raymond Brigg’s ‘The Snowman and The Snowdog’, BA (Hons) Fine Art graduate Jenny Leonard has brought to life ‘Brighton Belle’ (pictured). 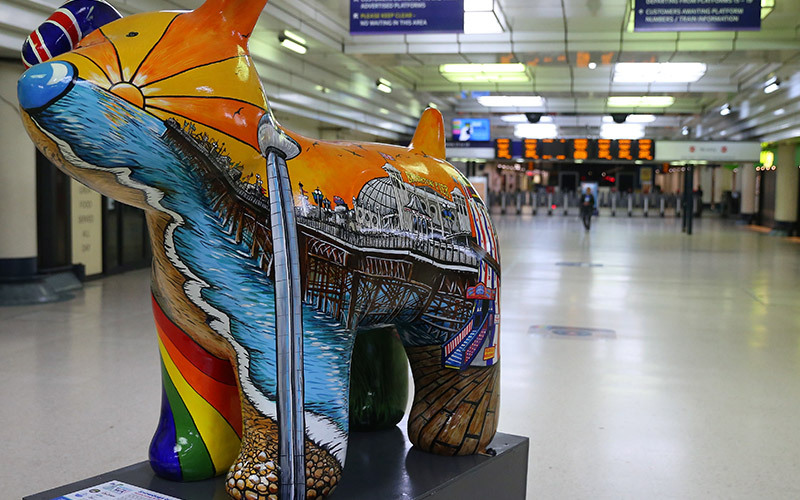 Jenny painted the statue in conjunction with the Brighton Art Trail as part of ‘Snowdogs by the Sea’ and was selected by British Airways i360 to exhibit in London Victoria Station in autumn 2016. Information about the exhibition is available online.